Bloodstained: Ritual of the Night will support cross-play between Xbox One and Windows 10. 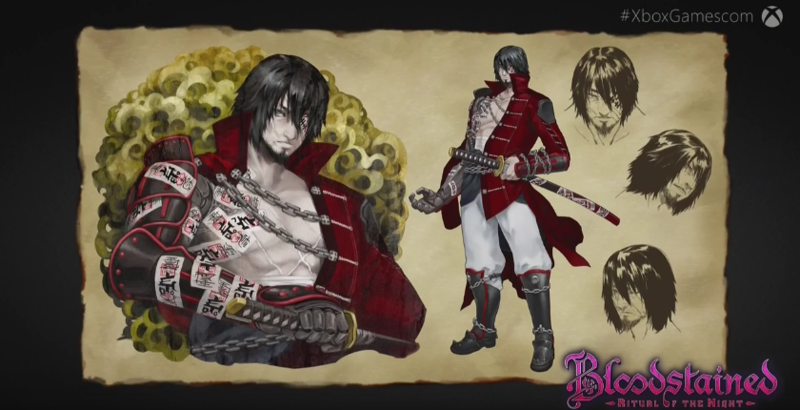 Legendary producer Koji Igarashi took the Microsoft stage at gamescom 2015 to announce that Bloodstained: Ritual of the Night will be coming to Windows 10 and Xbox One. The game will also support cross-play between the two platforms. No release date was announced, as the game has only just ended its Kickstarter campaign. During the presentation, Igarashi revealed a new character that was seen with dual swords and described as a demo hunter.